Tracey's darling card at Muse this week got me working on a card for a friend recovering from surgery. 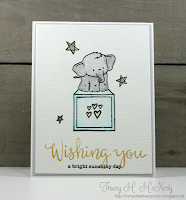 I was inspired by the cute critter, the center placement and the popped up panel on Tracey's card. Images are from Newton's Nook and I used simple copic coloring. The outer die is from MFT. Since I used markers I am also submitting to Addicted to Stamps and More, Make your Mark. Cute card and a great take on the MUSE card. This is darling! Love the cute kitty and the pill bottle is exactly the right color. Adorable card perfectly colored! Your friend will feel better just looking at this card, Cat! love your sweet little kitten and the wonderful sentiment with it! How cute - a perfectly cas get well card. Cat such a sweet get well card, I am sure that your friend will really appreciate it. Thank you for sharing with us at Muse this week!! This is adorable, and I loved the haiku comment you left on the other blog! Clever girl! Thanks so much for joining us this week and your continuing support, Cat! We appreciate you! A fun card for someone in need of a pick me up! Absolutely darling kitty and fabulous take on Tracey's inspiration card, Cat! Beautiful Copic coloring, too...Love this card to pieces!